Black and Silver leather bike jacket (Lookwell) with air vent zips and shoulder vents. 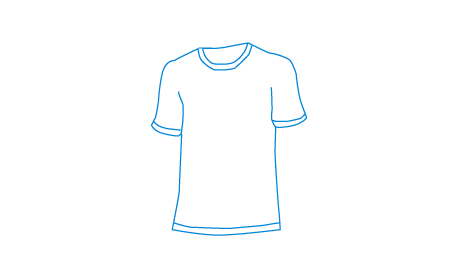 Suitable for size 34. Hard padded elbows and back. Zips on the inside (back) for leather pants to be attached as well as zip linings to insert silver inner. 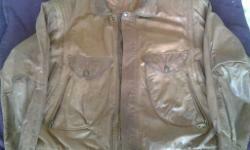 Silver Arlen Ness inner (large) also included but does not fit Lookwell jacket. 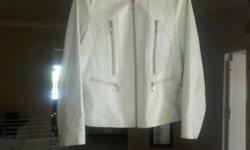 white leather jacket size 36, bought from queens park R400. 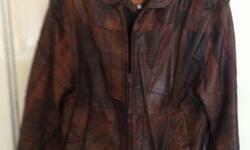 Leather jacket. Female size 14. 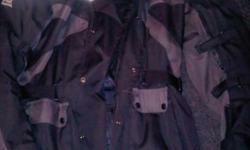 Very good condition - hardly worn. Pig's leather. Paid R800 originally. R300 o.n.c.o.